Reading about kids aging out of foster care makes me sick. Literally. I aged out at 17 and I didn’t realize that the crappy education and skill set that I had was so much more than many of the other kids received. I wrote this book because I want to help the kids that are still n care have access to as much information as I can. Order copies for your case load, kids in your group home, and kids in your school. Everything from finding an apartment and getting the utilities turned on to paying for college and saving for retirement are covered. Resources for emancipating youth shared from organizations across the country are also included. This edition includes a bonus chapter on resumes, interviewing, and career advice. Shay spoke at a financial education event for kids in care hosted by New York ACS. You care hire Shay to speak at your event as well. Click the photo to visit Shay’s speaking website. These numbers are unacceptable. We have to do something to help. CheckSpring (community) Bank – They are a local community bank that’s mission is to provide financial services to the local community. They have branches in Brooklyn, Manhattan, and the Bronx. Department of Consumer Affairs – They have loads of good things going on, but the thing that really stood out was the Safe Start Program. If you can’t open an account at a financial institution because you’re on ChexSystems you might be able through this program. Through the Save USA Program you may also be able to earn $500 for letting your tax return grow in an approved financial institution. Henkels & McCoy – They provide job services to 17 to 21 year olds that are not enrolled in school. IRS – Darrell Weinberg talked about free services in the city. Did you know you could get your taxes done for free. SBA – They were on hand to answer any questions about starting a small business. Check them out if you’ve ever considered starting a business. Candi Sparks was also there. She wrote a book called Can I Have Some Money? (Volume 3) Max Gets It! Pick up your copy for $10 on Amazon.com. Need a speaker for your next financial education event? Book Shay Olivarria! 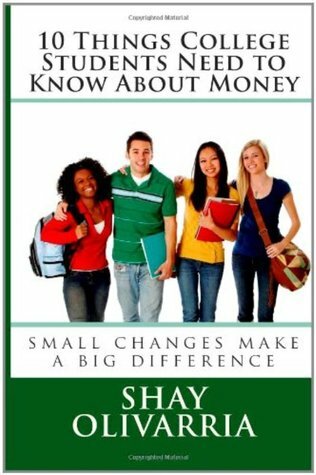 Visit www.BiggerThanYourBlock.com to watch videos, read testimonials, and buy copies of 10 Things College Students Need to Know About Money, Money Matters: The Get It Done in 1 Minute Workbook, and All My Mistakes.